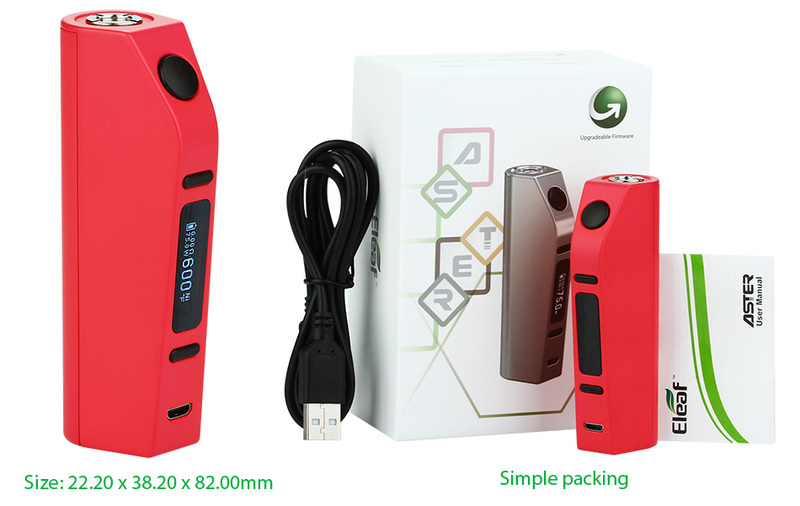 Eleaf ASTER 75W TC MOD – E-CIGARETTES.CA INC.
75W Eleaf ASTER TC MOD supports various modes (VW/Bypass/Smart/TC-Ni/TC-Ti/TC-SS/TCR) to fit your different tastes. With upgradeable firmware, your ASTER will always be a new device. 5 colors for selections. It can be powered by a 18650 cell. 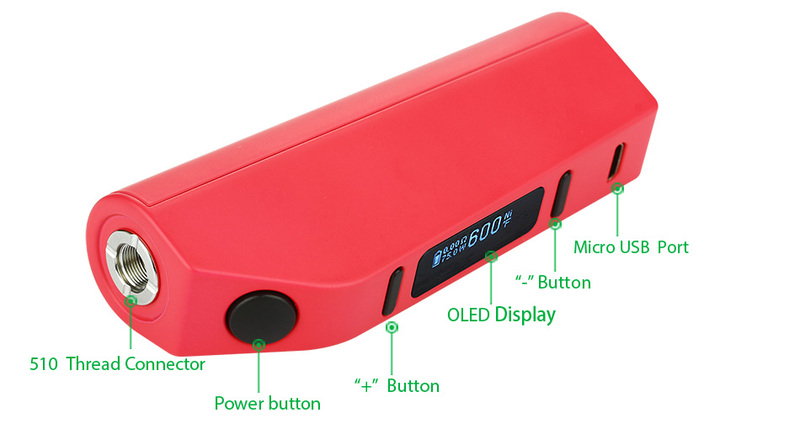 With a 18650 battery, the max output power is 75W. Open the battery cover, put in the cell, put back the battery cover, and press the fire button 5 times within quick succession to turn on/off battery. Vaping: Hold the fire button and take a puff. simultaneously hold the fire button and down button to switch between Stealth on and Stealth off function. Stealth on Mode, you can vape with the OLED screen off. To see current setting, you can press the fire button one time. Keep pressing up and down button simultaneously for 2 seconds when the device is powered on. This will switch between Adjustment Lock (up and down button will be locked and the screen will display "Lock") and Adjustment Unlock function(up and down button will be unlocked and the screen will display "Unlock"). This operation can protect buttons from unintentional presses and prolong their lifespan. Keep pressing up and down button will be locked and the screen will display "Lock" simultaneously for 2 seconds when the device is powered off, the screen display will rotate 180 degrees. When the device is powered on, press the fire button 3 times within quick succession, the device will display current vaping mode. Press up and down button to switch among VW, Bypass, Smart, TC(Ni,Ti,SS,TCR-M1,M2,M3) modes and then press the fire button 1 time or stay in the interface for about 10 seconds to confirm the vaping mode. Plug the micro USB into the Micro USB port on the battery end, another end connect to AC adapter or USB port of power supply.